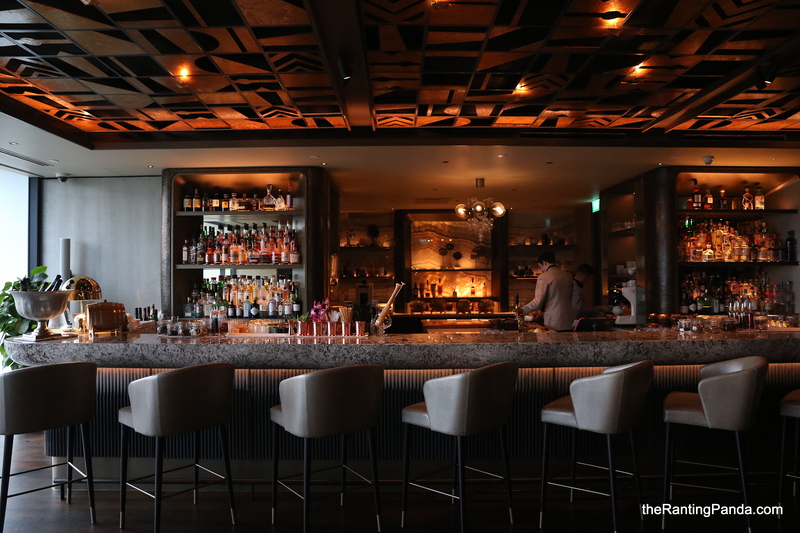 The Place Previously known as Axis Bar, Mandarin Oriental Singapore has a new chic dining concept, MO Bar. Located on level four of the hotel as Melt Cafe, MO Bar spots a chic and contemporary look with views of the Singapore Skyline. In the day, it serves Afternoon Tea and is the space where you can get your cup of coffee and tea snacks. By the evening, this space becomes a night spot where you get a pretty interesting mix of bar bites and specialty concocted cocktails. The Food The drinks menu has been created by Bar Manager Michele Mariotti, who has worked at many of Europe’s bars. There are 14 cocktails available including ‘Coconut Beaches of Fiji’ with pisco, lychee cordial and carbonated coconut cream and ‘Mother of Dragons’ with strawberry aloe vera, red dragon fruit juice and cachaça. The list also includes mocktails, beers and wines, and a one-of-a-kind MO BAR Pilsner, developed in collaboration with local craft brewery, Archipelago. One of the adventurous cocktail to have is the Sea Beast (S$28), inspired by the octopus in the sea and hence it is a mix of Black Ink Coriander Soju and Fizzy Yuzu Sushi. It comes with a slice of salmon sashimi, which raised eyebrows in terms of presentation. The taste of the drink is an interesting mix of savoury and sweet, quite an unique creation which will draw a fair share of lovers and haters. I personally find it quite hard to stomach. Some of the light bites highlights include the Indo-China Prawns with Masala Mayo (S$26), Singdog with Achar (S$26), Phoenix Wings (S$32) and the Avocado (S$16) dessert filled with avocado mousse and Gula Melaka ice cream. From the food menu, I enjoyed the Indo-China Prawn with Masala Mayo and Kalamansi, which has a sweet spiciness and a nice crunchy texture. The Singdog (S$26) is also quite good for sharing, a Nonya inspired sausage with achar, sambal mayo, scallion and dry shrimp. Alternatively, the Somen Noodles (S$32) is a comforting option which is decked with Tasmanian crab, vinegar, chive and crab roe. Rants Prices for the cocktails are on a par with the drinks at Manhattan Bar, be prepared to splurge on the drinks and bar bites. Will I Return Again? The new chic space at MO Bar should be a draw. There are some good bites out there, though we say approach the cocktails with an open mind. Make your reservation instantly at MO Bar here. Wow, those cocktails are beautiful!